Wondering what skin care products are safe to use during pregnancy? It often feels like you can never be too careful when you’ve got a little one on the way. 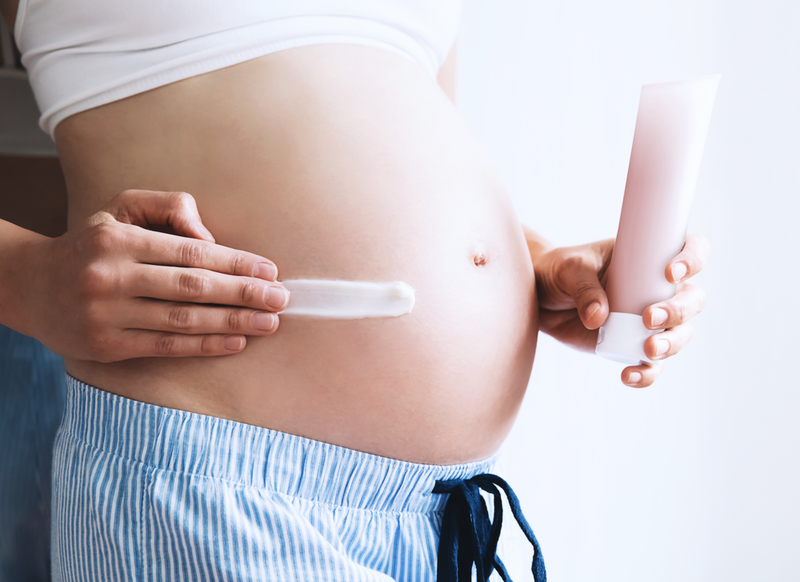 It’s obvious to avoid alcoholic drinks, smoking, many prescription medicines and tanning beds while pregnant, but what about skin care products? All of your answers can be found on the label our retail box! Oral skin medications like Accutane (isotretinoin, a form of Vitamin A), and Doxycyline are completely off limits, as they are linked to birth defects. Over the counter products containing Retinol at low levels are thought to be safe, but no conclusive studies have been done to prove this. The motto with pregnancy is, "It’s better to be safe than sorry!" That being said, ALL Advanced Clinicals Products (with the exception of Advanced Clinicals Retinol Serum, Spa Size Retinol Cream and Wrinkle Repair Retinol Night Cream) are recommended during pregnancy. This Coconut-boosted body oil is blended with scar and stretch mark hero Cocoa Butter, along with Avocado and Neem oils. Use this to massage stretch mark-prone areas daily. Fight the stripes with Coffee Seed Oil, Shea Butter, Coconut Oil and brightening Licorice Root! 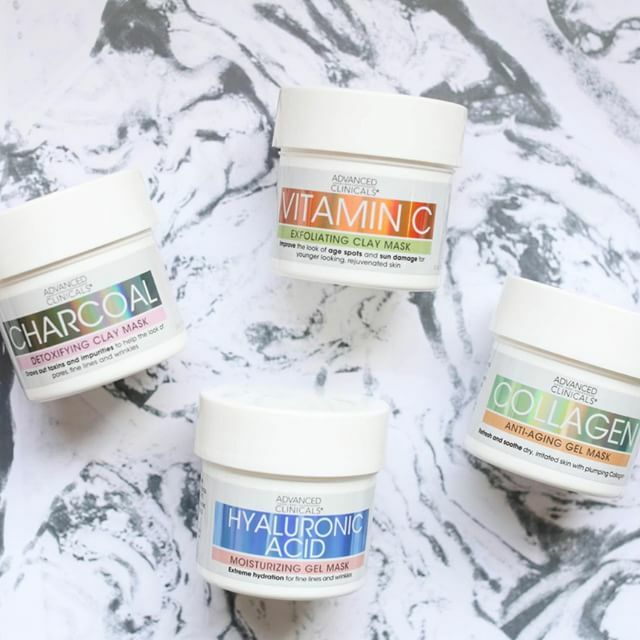 A detoxifying clay mask that helps to draw out pore-clogging impurities. Also helps control oil without over-drying sensitive skin. A natural antiseptic and antibacterial powerhouse, Tea Tree Oil is a great natural remedy for acne and clogged pores. Simply dab it on overnight to calm blemishes while you sleep. This super-hydrating lotion is a favorite of moms-to-be because it’s made without fragrance. How cool is that?? Slather it on dry skin (pregnancy hormones are to blame) for a total moisture infusion. Many women get their first spider veins or even varicose veins during pregnancy. Microalgae, Green Tea and Collagen all help to improve the look of unsightly veins. Pregnancy can often come with hormone-induced changes in skin color, such as melasma or chloasma. You may see a darkening of your upper lip or even a mask-like tint to your face. Promote a more even tone with Vitamin C, the greatest and safest ingredient for hyperpigmentation, especially if you’re pregnant.